The Spring Classics are in full swing, and even though Milan Sanremo was barely a fortnight ago, it’s now time for the second Monument of the season, the Tour of Flanders. 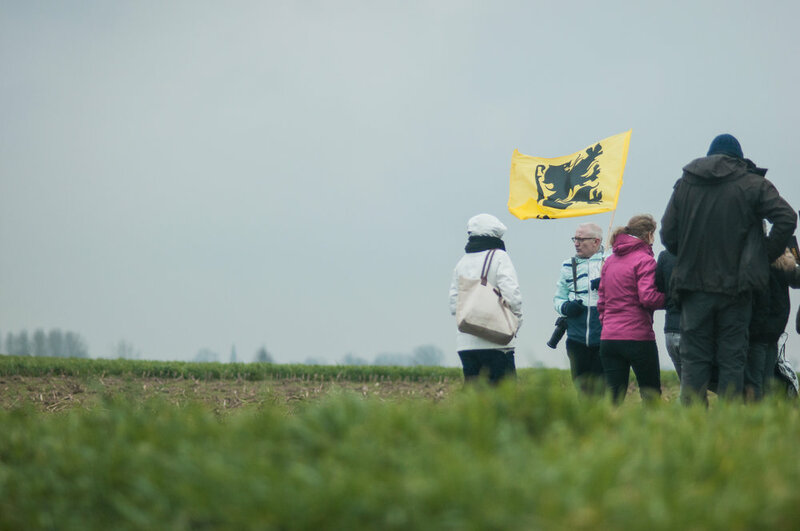 The biggest day on the Belgian Sporting Calendar is nearly here, and in front of thousands of beer-and-frite-fuelled screaming fans, some hardman will reach out and grab one of the sport’s biggest prizes. But how exactly can they do that? Flanders is always an open race; lately we’ve seen breakaways succeed with Niki Terpstra riding the last 20km solo last year, and Philippe Gilbert breaking away with 95km to go the year before. Peter Sagan won in 2016 by attacking on the final ascent of the Paterberg. In 2015, Alexander Kristoff won from a small elite group. With that in mind, there’s a huge number of riders that can win on Sunday, with so many potential ways the race can pan out. We’ll take a look at some of the top contenders here and analyse how they can win. How do Deceuninck-QuickStep win? Keep their cool, and their dominance. With so many elite men on the squad, it’s pointless trying to split them up, as they’ll just work for whichever plan presents itself as the best option, but they need to keep their options open to do that. On Sunday at Gent-Wevelgem, every big rival took it to the Belgian superteam, and they were on the back foot for the first time this Spring. It was kind of like Revenge of Nerds, seeing a group of losers gang up on the bullies, and they were caught off guard by it all. Throwing the punches, rather than ducking them, is a tactic that suits LeFevre’s men best, and if they have 5 guys in the front with 50km to go like they should, there aren’t many situations in which they’ll be beat. How does Alexander Kristoff win? Play it smart, and remember why he’s won here before. Kristoff is back, but the real question is why he ever left? His win at Gent-Wevelgem was a reminder of how strong he is, and but he’s never been a great tactician. On Sunday, he attacked on the final climbs to get ahead of the inevitable surges, and hence survived to the end. If he’s in the front at the end of Sunday’s race, there won’t be anyone with a better sprint left in the legs, he just has to work out how to get there. 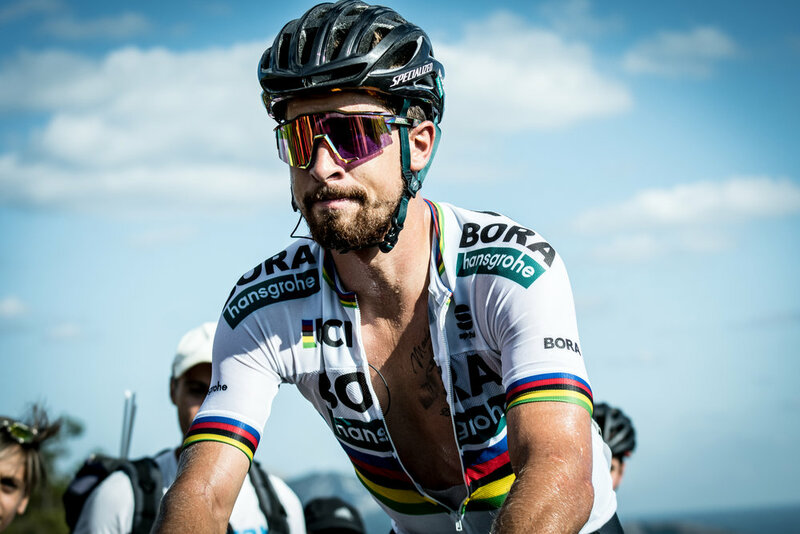 How does Peter Sagan win? Hope that last week’s 180km breakaway helped him find some form. We haven’t really seen peak Sagan this season yet, but we sure saw a lot of him last weekend as he spent a rare spell in the EB. Sagan can win in almost as many ways as Deceunick-QuickStep can, but he has to find the form first. The best thing he could have done was spend a day riding as hard as he did last week. If we get 90% Sagan on Sunday, he’s still the best man, and the rest will take care of itself. How does Greg Van Avermaet win? Throw his balls in everyone’s face. Let’s be honest here, there’s nobody in the peloton with balls as big as GVA. The man loves to race, and he does so at every possible opportunity. It’s quite often his downfall, as he gets a bit excited, tires himself out and could probably do with a mid-race nap. But it’s also his best way of winning, as he grabs the race by the scruff of the neck. With a race set to be chaotic, it’s the guy who can do that the best who will come out on top. How does Sep Vanmarke win? Win a lottery with the cycling gods. Always the bridesmaid, never the bride; Vanmarke’s quality is undoubted, he just needs to get lucky for once. With two previous podium results here, he’s certainly in the mix, but he’s not threatening enough to be kept on a short leash. If he can find the right move in the midst of all the chaos, that could be all he needs. How does John Degenkolb win? Stop losing the lottery. If Vanmarke needs good luck, Degenkolb just needs to stop getting bad luck. Crashes and crucial mechanicals have littered his last few seasons, but as a Sanremo and Roubaix winner, he should be able to win here. Lady luck doesn’t even need to smile on Degenkolb, she just needs to stop picking on him.